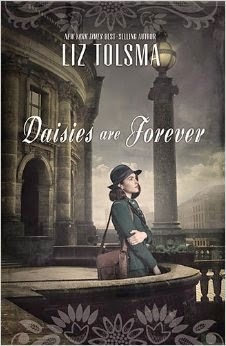 This is Liz Tolsma's sophomore book, which I have to say I enjoyed a bit more then her debut, Snow on the Tulips. Like Snow, Liz pulls from her family's history for inspiration for her story. It is amazing to me what what the people of Europe survived during this time. What a frightening time to live in. Daisies are Forever is also a good reminded that not all the Germans believed as Hitler did. When you think of WW2 and the massive assaults that the Germans applied to Britain and on Normandy, it can be easy to forget that the people of Germany were held captive under a tyrannical, socialist regime, while their children were being brain washed. We get a view of all of this in Daisies. It's amazing to think that someone would move to Germany when Hitler took power, from America, but that is what happened to Gisela. She moved with her family back to Germany, after suffering the affects of the depression in America. In doing so, it put Gisela right in the path of the war. When the story opens up, the Russians are on their way in to Germany, and it is time for Gisela to flee for her life. It is now Germany's time to have the war on their land and bombing raids knock out their cities. I have really started to enjoy stories based on WW2 and have started to look into it more, so it was interesting to read a story set on German soil near the end of the war. This was a fast paced story that took you over many miles as Gisela and her rag tag group of refugees flee ahead of the Russians, toward Berlin. There was a lot that went on with this story. 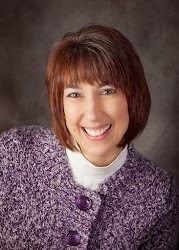 I enjoyed Gisela, she had a kind heart and desperately wanted to help those around her. Mitch, having escaped a POW camp was constantly chomping at the bit to get back to his men. I get that, and it was nice to see that he also cared around helping the innocent. He was a very decent and caring lead, but he knew when he needed to fight. There were many secondary characters in this story, children and the elderly. Then there was Rolf, who in all honesty got on my nerves, because he represented the selfish and narcissistic feel of the Nazi's, in my opinion. He sees something he wants, he doesn't care what is in his way to get it. The cast of characters went well with this story. They offered some annoyance and a little laughter. I enjoyed this different look into a WW2 story. Great review. I've never read a book with such themes before and would love to because this one seems intriguing. Shane, Thanks. It was an interesting story. It was intriguing.